Well, it started on a Sunday and an open bottle of champagne. We never opened it up on Valentines so when my husband said, “Let’s pop it!” I said, “Sure.” We were going to be a catching a train to NYC to watch the Harlem Globetrotters so that seemed like something to celebrate. 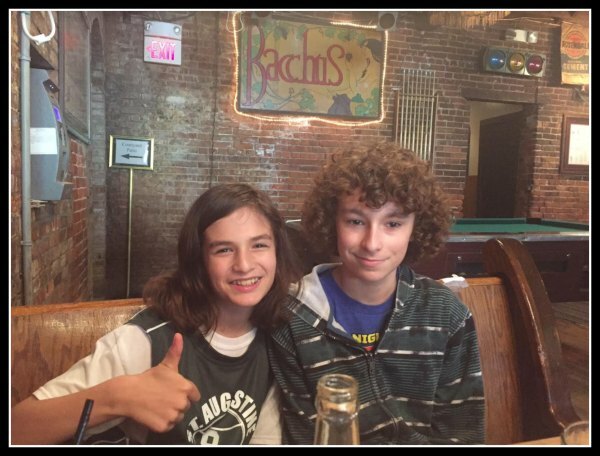 Our New York City adventures began at The Long Hall in NYC for a bite to eat before the show. 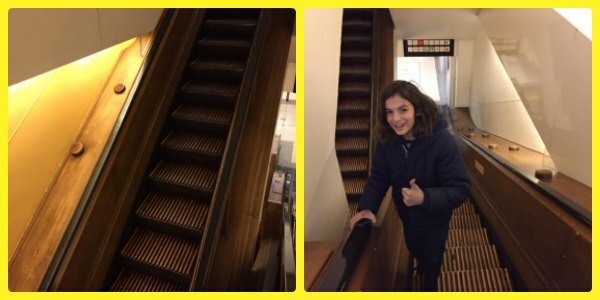 As, we headed towards Madison Square Garden we stopped into Macy’s to ride the old wooden escalators. We had taken the boys back in 2013 and I don’t know if they have been back to those escalators since then. A little piece of history and magic! We’ve been enjoying some unseasonably warm weather here in New York. 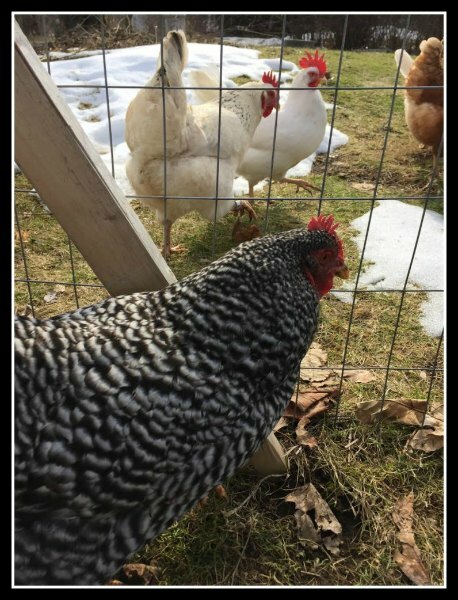 My birds have been having a great time running around without having to worry about snow under their feet. They even let me hold them. Our cat Ritzy was also enjoying getting some rays in his favorite chair! Best cat ever! 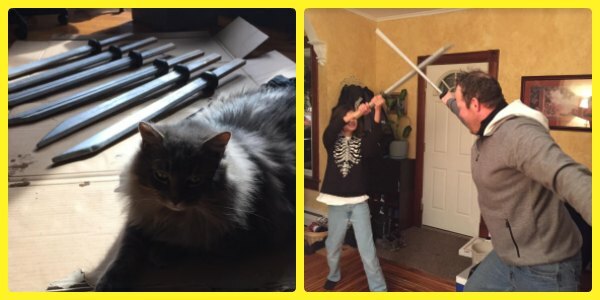 My husband spent some time crafting swords for my son’s upcoming 11th birthday party. Yes, we are THOSE parents that give our kids and their friends dangerous items to play with together. My husband has been making swords for a few years now out of wood for the kids and I can safely say we only had two injuries. Both of the kids survived and we all learned a lessons or two. Best dad ever! 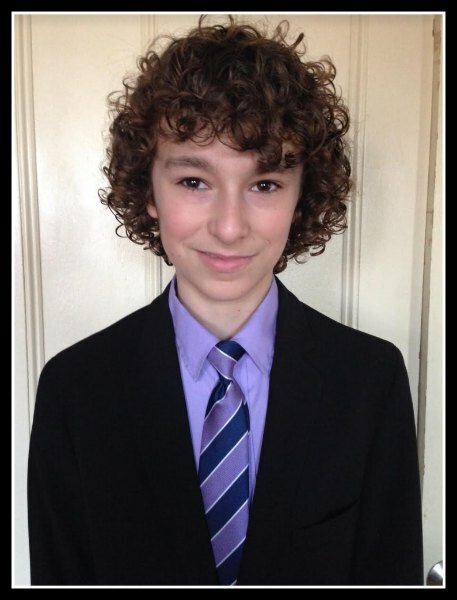 My thirteen-year-old finally wore a suit! He was part of a special group at school that filmed a news cast for the NY Archdiocese Television. He was an on air reporter. I loved this moment. My son had speech therapy for years. This was a huge accomplishment. We ended the week with a power outage. 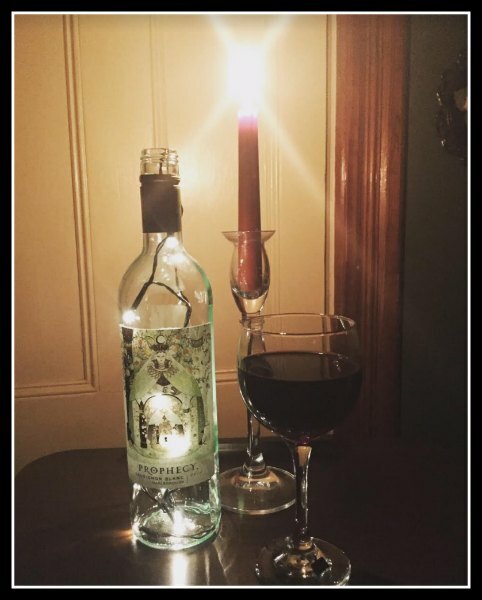 We spent 17 hours without power. We didn’t thin it would be so long so we didn’t fire up the generator till 12 hours into it. My boys had a friend sleepover that night, so that was interesting. I actually loved how they found things to do. There was a dance party, Hamilton sing-along, and solo computer play. I love when the unexpected happens. 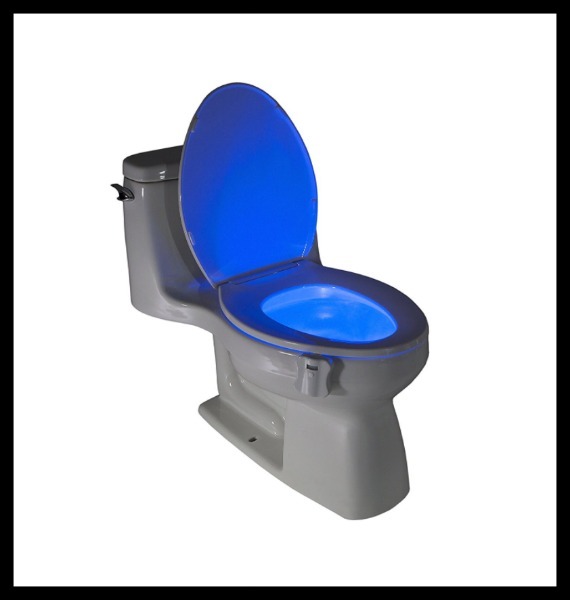 Believe it or not I loved this Motion Activated Toilet Nightlight. It really saved the day or should I say night during the power outage! My husband bought this for me as a joke for Valentines. I have to say that my boys have not peed on the toilet seat at all since we put this on! A big hit as far as I’m concerned! I made an impulse buy! 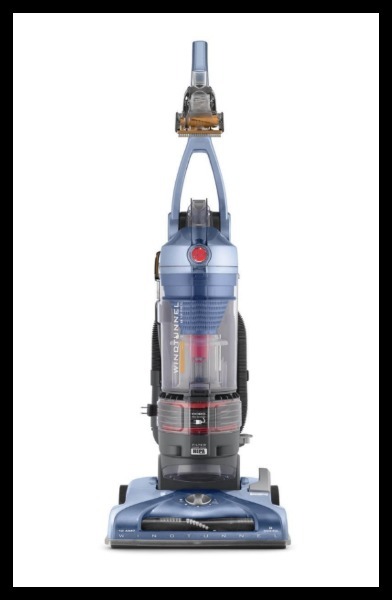 I bought the Hoover Vacuum Cleaner T-Series WindTunnel Pet Rewind Bagless Corded Upright Vacuum. It was the Amazon deal of the day and cheap enough for me to take a chance with it. I had no idea how dirty my floors were until I used it. I looked around and was amazed at how clean the place looked. Wow! A bit larger and more heavy than I would like, but worth it. Great price and great quality. 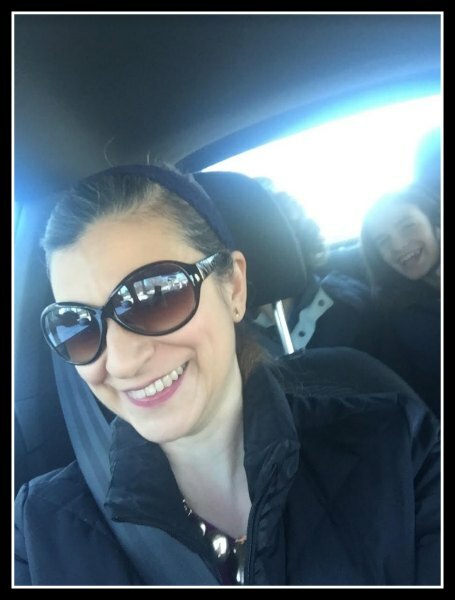 Drumroll…..My most pinned post on Pinterest! 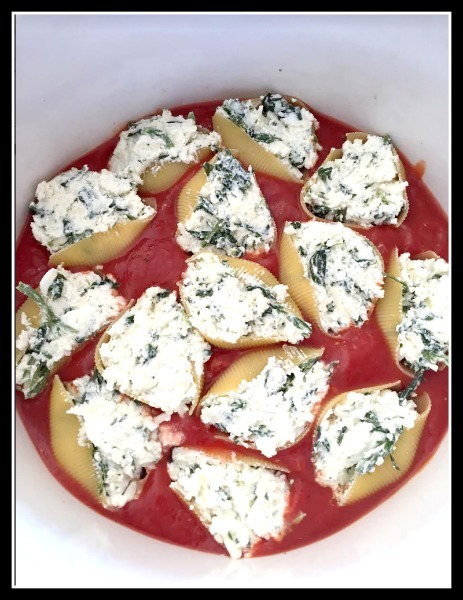 No Cook Stuffed Shells in a Slow Cooker! Have you tried it? If not, give a go! I want to hear how it came out for you! What are some of the highlights of your week? Disclosure: This post contains affiliate links. All thoughts belong me. Your weeks are never boring! No wonder the kids are so stimulated to learn and enjoy all the wonders of this world from the Globetrotters to glow-in-the-dark toilets! I don’t have a glow-in-the-dark, but I do have an American Standard motion-activated toilet installed since November and I must say it is easy and flawless despite being a water-saver as well. The technology these days is awesome. However, I don’t think we’ll ever catch up to the Japanese whose toilets look like their outfitted with various control modules on each side that would make the pilot controls of the Starship Enterprise look simple! Love your kitty! I have a giant fluffy ginger cat sleeping next to me right now! I haven’t seen the Globetrotters in years! They haven’t been back to our arena for a while, hopefully they’ll return soon! What a fabulous week. Life is never boring at your house for sure. BTW I’ll be over for drinks and stuff shells. What a handsome little man in the suit. He looked sharp. I loved seeing the Harlem glovetrotters. That was fun! What a busy week! Why is it that cats find the craziest ways of relaxing around the house? My weeks seem to run away from me all the time. Wow, what a busy week you had! That toilet is hilarious – I love that it actually served a practical purpose! Every day is a good day to pop open a bottle of bubbly in my book! Now I want to go grab one. Bwah! Now that’s a good week! Sure looks like you had a busy fun time! It looks like you had a great week! Your cat is adorable! 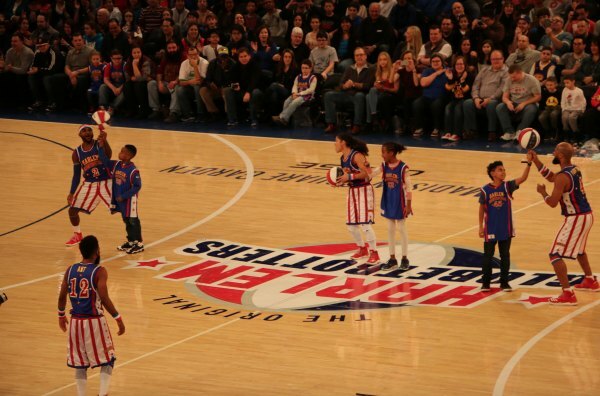 I live close to NYC but have never seen the Harlem Globetrotters, I really should check them out – it looks like such a fun time! 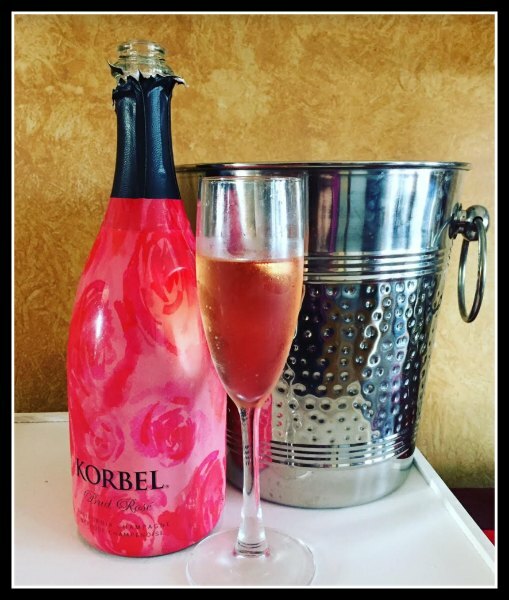 That bottle of Korbel looks delicious! I never had rose champagne before! And I love stuffed shells! It sounds like you had a lot of fun! I would love to visit New York City one day. My week has been super busy so it was nice to come home today and just relax for once! What a fun week, you can adopt me any time you like! I have not made it to NYC these past few years, but after seeing your pics, I am adding it to my list! When you say you started Sunday with a bottle of champagne that is a good day for sure. 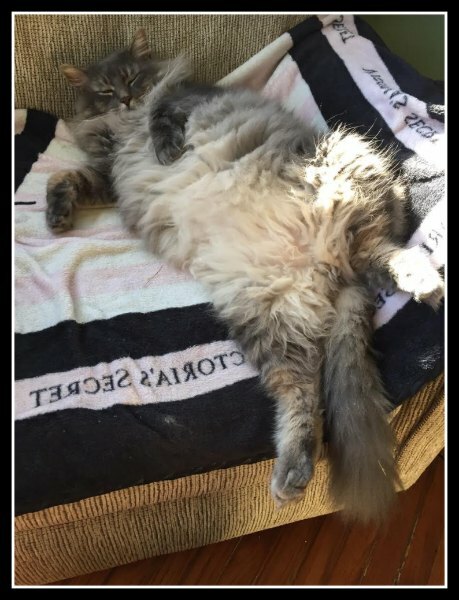 Bubbly makes everything better =) Your cat same as mine is having the best life.